Imagine a tropical island with striking cliffs, lush green jungles and an ocean so blue you have to pinch yourself to check if it’s real. Now dream that you have the entire island practically to yourself. 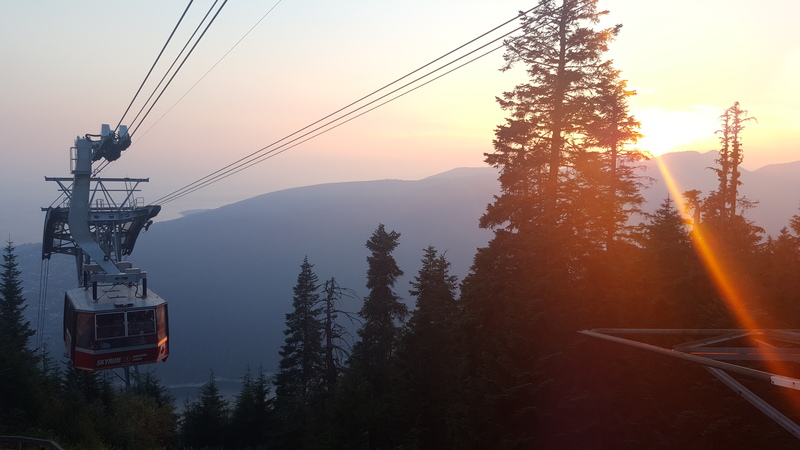 No selfie sticks interfering with your views, no traffic and honking horns distracting you from your surroundings, just raw, natural beauty everywhere you look. No need to dream, this is Nusa Penida. The Island of Nusa Penida is less than 1 hour by speed boat from mainland Bali and less than 30 from Nusa Lembongan. Surprisingly, even with its close proximity to Bali it has somehow managed to fly under the radar and keep its magical ways. How long this gem will remain a gem is hard to know, which is why you better be quick if you want to experience the magic that is Nusa Penida. 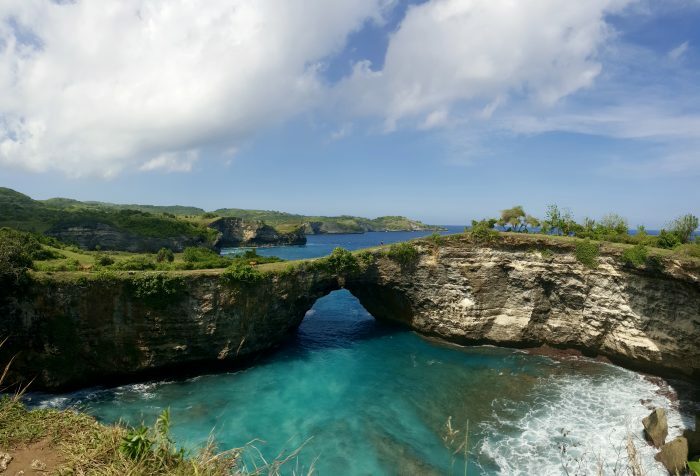 Nusa Penida is all about natural beauty and in comparison to its neighbouring islands Nusa Lembongan and Nusa Ceningan, Penida is extremely undeveloped. If you plan on staying a couple nights be prepared for a very quiet stay but appreciate it for the rare commodity that it is. Because of the size of the island and the road conditions it’s almost impossible to get to all the sights the island has to offer in just one day. However, if you arrive early and plan your day right, you’ll be extremely impressed with what you do have the chance to see. Hire a car and driver and he’ll be able to plan a day that’ll maximise your time and the places you can visit. For those staying a few days and want some freedom, renting a scooter is a nice way to get out and explore. You can also hire a guide for the day who will show you around to the island’s best spots without getting you lost! 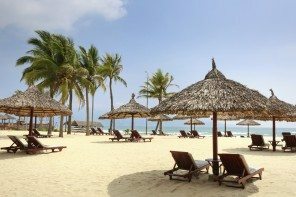 Some of the more beautiful places around the island include Broken Beach, Angel’s Billabong, Karang Dawa View Point, Crystal Bay for snorkelling and Goa Giri Putri a sacred cave. On a day trip from Nusa Lembongan we managed to take in Banah Cliff, Broken Beach, Karan Dawa as well as spend an hour relaxing on Crystal Bay Beach. Where To Eat in Nusa Penida? Food choices on Nusa Penida are limited to mainly small local ‘warungs’ and eating at accommodation restaurants. One of the most well known spots for tasty fare and cocktails is Penida Colada Lounge Bar located in Ped Village along the water with awesome views of the seaweed farmers. 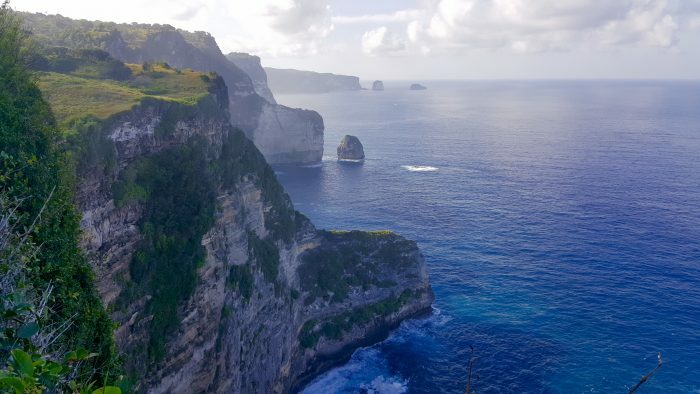 Other highly rated warungs include: The Gallery Nusa Penida for western food, then Warung Ulam Segara and Mola Mola Warung for their awesome views. 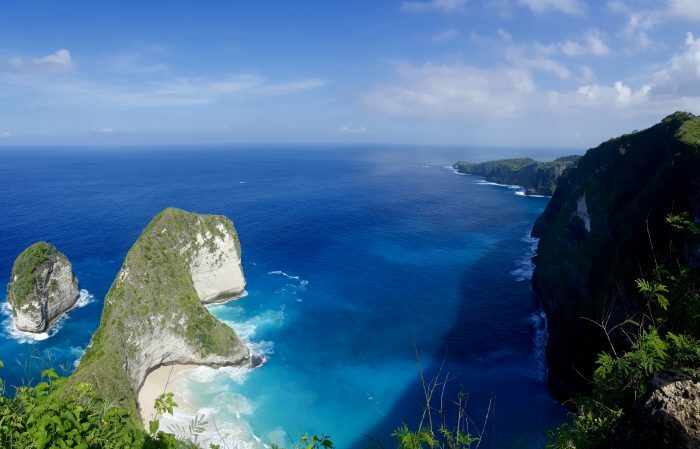 Stay in Nusa Penida with an open mind, after all you’re on a remote island. Here internet will be slow, patchy and lots of the time non-existent. Customer service will vary and the creature comforts you find easily on mainland Bali will be a rare commodity here. 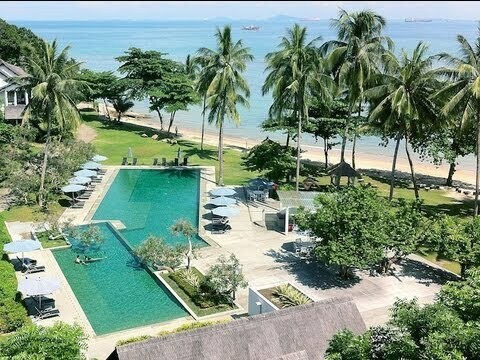 With all that in mind you’ll find friendly guest houses and relaxing bungalows in beautiful natural settings. 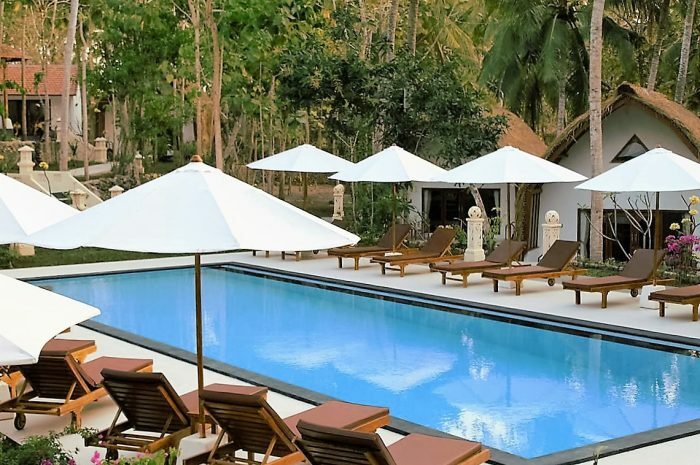 Coco Resort Penida has thatched roof bungalows surrounding a pool perfect for lounging your day away. Rooms start around USD $60. On the more budget end, newly opened Manta Cottages offers rooms with sea views from USD $25. Getting To and Around Nusa Penida? 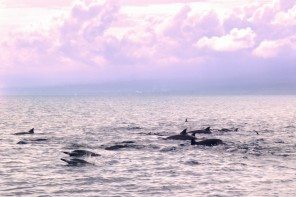 From Sanur Beach there are a couple different boat companies with two or three departures per day to Nusa Penida. From Nusa Lembongan a public boat leaves at 6am either from Jungutbatu or near the yellow suspension bridge connecting Nusa Lembongan and Nusa Ceningan, where it leaves from depends on the tide. It’s also easy to charter a boat, ask around at your accommodation or with one of the bigger boat companies. The easiest way to explore the island is by scooter or car hire. Either way we recommend taking a local guide to help you navigate the island, many of the sights and vantage points are almost impossible to find on your own. For a car and driver expect to pay between IDR 600k to IDR 900k depending on how many places you plan to visit. Scooter hire will cost between IDR 80k to IDR 120k plus the cost of a guide. A guide is not required but highly recommended on days in which you want to find certain attractions.